At a time when lovers of culture and tradition around the world think the peace deal between the youthful Ooni of Ife, HIM Oba Enitan Adeyeye Ogunwusi (Ojaja II) and the elderly Alaafin of Oyo, HIM Oba Lamidi Adeyemi has been strengthened beyond cracks through the various peace moves embarked upon by the new Ooni on ascension to his reign two years ago, another crisis is said to be brewing between the two prominent Yoruba kings. The crack which led to a subtle altercation between the Ooni and Alaafin at a recent public outing in Ile-Ife is said to have been caused by the traditional drummers of the Ooni of Ife. 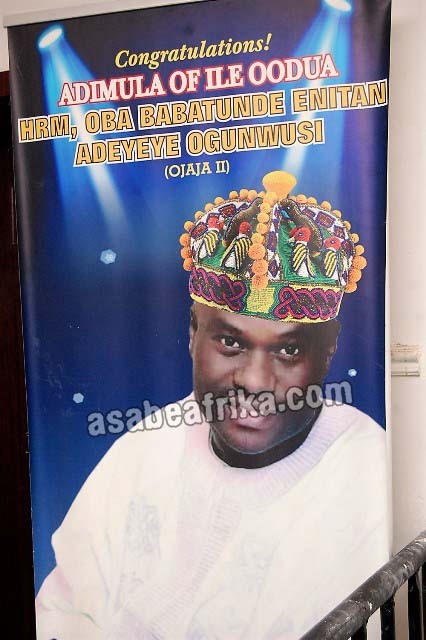 Information gathered by Asabeafrika revealed that the emotional strife between the two prominent Yoruba monarchs took place at a recent seminar in honor of prominent lawyer and elder statesman, Chief Afe Babalola at the prestigious Obafemi Awolowo University (OAU), in Osun State—Western Nigeria. The Department for Educational Studies of the great institution is said to have organized her annual lecture where they equally decided to honor the veteran Ekiti State born lawyer and educationist, Chief Afe Babalola with a Doctorate Degree. It was gathered that it was the presence of Chief Afe Babalola that drew the presense of the two eminent Yoruba monarchs to OAU as they held Chief Afe Babalola in very high esteem. 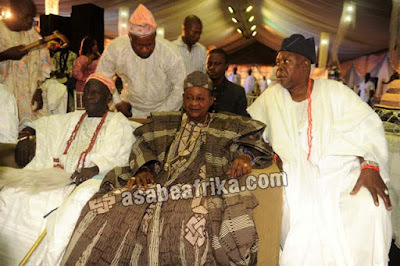 Information at Asabeafrika’s disposal has it that the Alaafin of Oyo arrived the venue of the event two hours to the lecture and was quickly led to a guest room where the organizers kept the elderly monarch with his entourage. It was gathered that all the time that the Alaafin was waiting at the guest room, Chief Afe Babalola was at the Palace of the Ooni of Ife, Oba Enitan Adeyeye Ogunwusi to salute the king on his arrival into town from Ekiti. However, the elder statesman left the Ile Nla (Ooni’s Palace) with twelve of his senior lecturers and aides for the venue of the lecture after greeting the Ooni and got the green light that he will be at the event. On his arrival, Chief Babalola was informed about the arrival of the Alaafin for the past 2 hours and being sensitive to such gesture of punctuality, the founder of Afe Babalola University was said to have quickly moved into the guest room where the Alaafin was seated with his aides and on sighting the royal father, the elderly lawyer allegedly went flat on his belly prostrating to the Kabiyesi as a mark of profound respect. Chief Babalola was said to have passionately appealed to the Alaafin to forgive his negligence for keeping him waiting for so long. 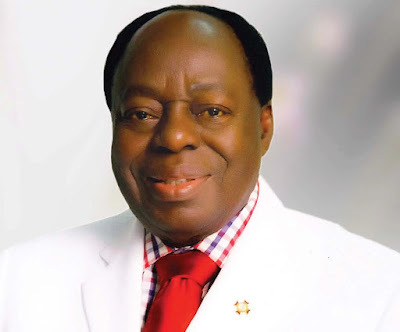 Chief Afe Babalola was said to have equally told the Alaafin that he was held up at the Ooni’s court as he had to pay him a short visit on arrival to Ile-Ife. The event was said to have kick started immediately as the drummers of the Alaafin released some melodious tunes and rhytms to welcome guests to the venue. The Alaafin equally took his seat as he savored the moment. It was said that some twenty five minutes into the event proper, the Ooni of Ife arrived with an intimidating entourage of drummers, traditional sax men and a mass of aides. In fact, it was alleged that the entire hall where the event was ongoing nearly went banana with the kind of crowd of men and women that arrived with the Ooni of Ife coupled with the hard way his drummers started to beat their drums to the hearing of guests and organizers alike. Sources claimed that the organizers of the event had to stop the event for 15 minutes just to allow Ooni’s drummers to have their pleasure of beating the drums until their principal settles down properly. Sources claimed that immediately Ooni’s drummers started beating their talking drums to tell how Ooni is superior to any Oba (King) in Yoruba land, the Alaafin who knew the meaning of their drum-tale, which is obviously to ridicule his presence, laughed wryly. The Alaafin was said to have wondered silently why the Ooni’s drummers could be interested in telling such stories with their drumming. The Alaafin was said to have immediately told the Ooni who was seated beside him that ‘Can you hear what your drummers are saying with the talking drum?’ Oba Adeyeye was said to have told Oba Adeyemi that he was not attentive to the drumming and could not decipher what they were saying. 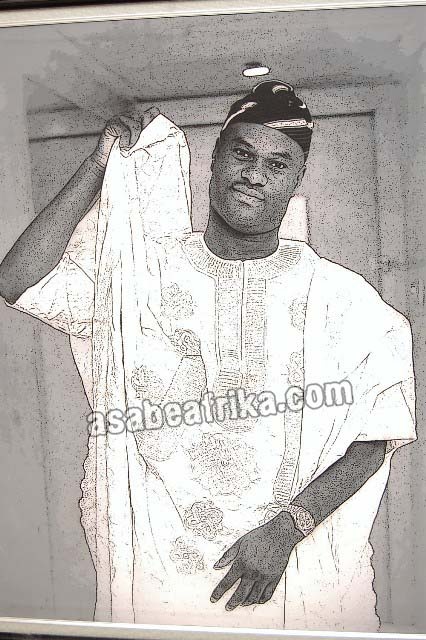 The Ooni of Ife was said to be the first to be called to speak at the event despite the early arrival of the Alaafin. 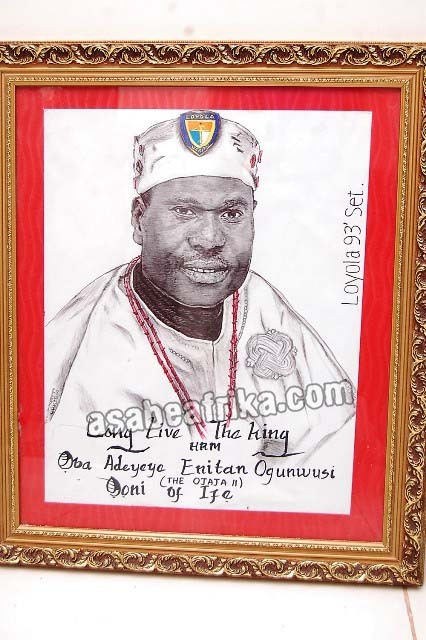 The Ooni of Ile-Ife was said to have spoken on the theme of the event and equally eulogized the personality of Chief Afe Babalola for his immense contribution to the education and legal profession in Nigeria. The Alaafin of Oyo was the next to speak on the podium and for the elderly Yoruba monarch, it was the right time to hit the nail on the box. Sources said Oba Adeyemi started his speech by making it known to his listeners at the event and probably the Ooni that Oyo is the owner of the drum culture. The Alaafin noted that the drum culture started in Oyo before it spread to other parts of the world. The Alaafin went further by saying that it was when Alaafin Oranmiyan left Ile-Ife to establish himself in Oyo that he decided to institutionalize the drum culture. That it was Oranmiyan’s culture to go to the war front with the drummers beating their drums to boost his ego. The Alaafin was said to have gone further to warn the Ooni’s drummers to be matured next time in their creative enterprise in order not to use their drum skill to create enmity for their principal. 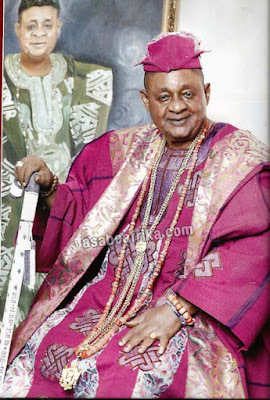 At the end of his lecture, the Alaafin was said to have stylishly warned the Ooni when he lectured the first class monarch this way “Up till this very day, there is no King in Yoruba land whose position or authority is bigger than that of the Alaafin of Oyo”. According to those who attended the event, that assertion by the Alaafin of Oyo was allegedly targeted at nobody than the Ooni of Ife and his drummers who were seated in the hall, as he made the world to know at the event that “the Ooni of Ife is not bigger than the Alaafin of Oyo Empire”. This statement was said to have made a large number of guests inside the Oduduwa Hall of University of Ile-Ife to make a rousing remark to hail the Alaafin’s pronouncement. They instantly got the message that the elderly Alaafin of Oyo was only making a strong statement that under no circumstance should anyone ever say it either in private or public that Ooni or any other Oba is bigger than him in Yoruba land. It will be recalled that same circumstance of arrival with beating of drums led to the recent row between the Oba of Lagos, Oba Rilwan Akiolu and the Ooni of Ife, Oba Enitan Adeyeye Ogunwusi (Ojaja II) at a public event in Lagos. Although guests at the public lecture said what the Alaafin said at the event rattled the Ooni but the charismatic monarch has severally made it known to the public that he is not ready to contest power or position with anybody as he is for peace and development among the Yoruba kings of South Western Nigeria. FROM THE THE SPEECH OF ALAAFIN HIMSELF,ANY INTELLIGENT THINKER SHOULD DEDUCED SOMETHING.THAT IS,THE FOUNDER OF OYO,WAS ORANMIYAN,THE SIXTH OONI OF IFE.AFTER ORANMIYAN FOUNDED OYO,HE CAME BACK HOME TO ASCEND THE THRONE OF HIS FORE FATHER,ODUDUWA. NOW,HOW CAN THE GRANDSON BE GREATER THAN HIS GRANDFATHER.IT IS QUESTION THAT REQUIRES SINCERERITY,BOLDNESS AND COURAGE TO ANSWER.ILE IFE HAS BEING IN EXISTENCE SEVERAL HUNDRED YEARS BEFORE OYO WAS FOUNDED. When oduduwa got to ife there where people already there where do you place them in yoruba history. The traditional meaning of "Alaafin" is Lord of the Palace. It was on record that previous Ooni pays tribute to Alaafin of Oyo. If you are familiar with Ooni panegyric you will hear " ni ojo ti onife nlo si aafin Oyo ile aase merindinlogun ni Onife kan kokoro ide lofisi gbogbore" Which mean whenever ooni visit alaafin he open the door with golden key. Therefore if any monarch is visiting the other who do you think is the greatest. 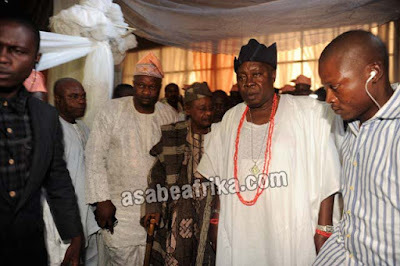 There are many instance in Yoruba history to affrim superiority of Alaafin. Also the story "omodegbon agbagbon lafi da ile ife" (wisdom of young and old was used for the creation of ife)remind ife people of the time they stop paying yearly tribute to Alaafin if you know the story. Oramiyan became Alaafin in Ife but its relocation to Oyo signify the relocation of seat of power.Oranmiyan signify the symbol of authority for Yoruba Oba including of of Benin. 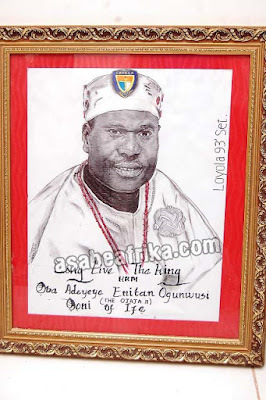 The last coronation rite for Oba of Benin is done at the Oranmiyan palace in Benin because he ruled benin for a period. However he ruled and gain his popularity in Oyo.